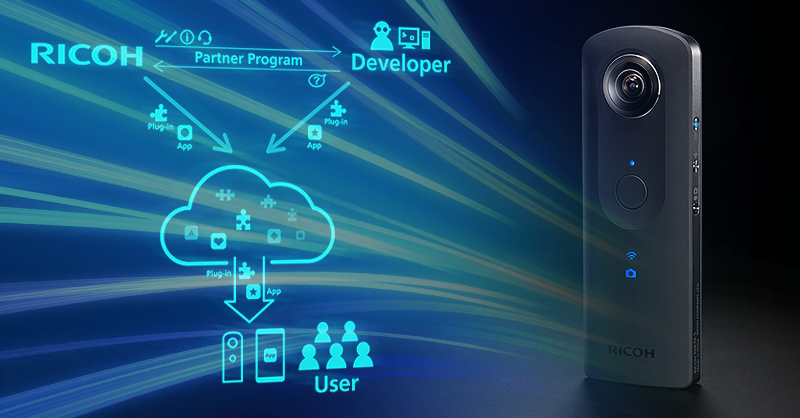 Ricoh announced that the RICOH THETA Plug-in Partner Program (URL: api.ricoh/products/theta-plugin/), including development tools and support for members, has gone live. The program—initially announced in January 2018 and unique in the 360-degree/virtual reality camera industry—allows third-party developers to create their own Android™-based plug-ins for the RICOH THETA V, a camera capable of capturing fully-spherical photos and 4K video. The RICOH THETA V incorporates an Android-based operation system. Given its open architecture, the camera’s functionality can be further expanded by installing plug-ins. 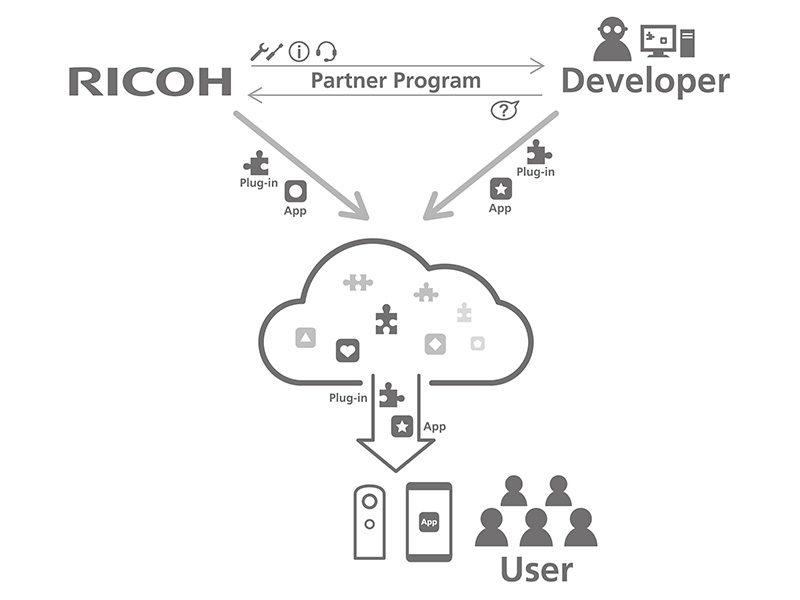 As part of the program, Ricoh made available the Ricoh THETA V application programming interface (API) and software-development kit (SDK) in April. Now, with the official start of the program, Ricoh is providing additional resources for plug-in development. Once individuals sign up to become members of the RICOH THETA Plug-in Partner Program, they can access tools and online support. RICOH anticipates interest from developers in a variety of vertical markets to create plug-ins that will deliver customized functionality for the THETA V. Members can upload and share plug-ins on the RICOH THETA Plug-in Store, which will open to consumers and businesses in July 2018. To date, Ricoh has internally developed two plug-ins, which come pre-installed in the RICOH THETA V camera. These are Remote Playback*, which allows mirror playback of 360-degree still images and video data stored on the camera on a large screen monitor; and USB Data Transfer, which enables still images and videos captured by the RICOH THETA V to be transferred to a USB storage device. In addition, Ricoh will be releasing three additional plug-ins when the Plug-in Store goes live next month. These include “wireless live streaming,” which enables wireless live-streaming on YouTube™; “automatic face blur,” which provides facial recognition and enables faces to be blurred in images to protect the privacy of subjects; and “file cloud upload,” which automatically uploads the images saved on RICOH THETA V to Google Photos™ when connected to a router. *Other devices are required, including a separate wireless display adapter. Android, YouTube, and Google Photos are registered trademark of Google Inc.
Posted in Cameras, Compact Cameras, News, RICOH THETA V, THETA.